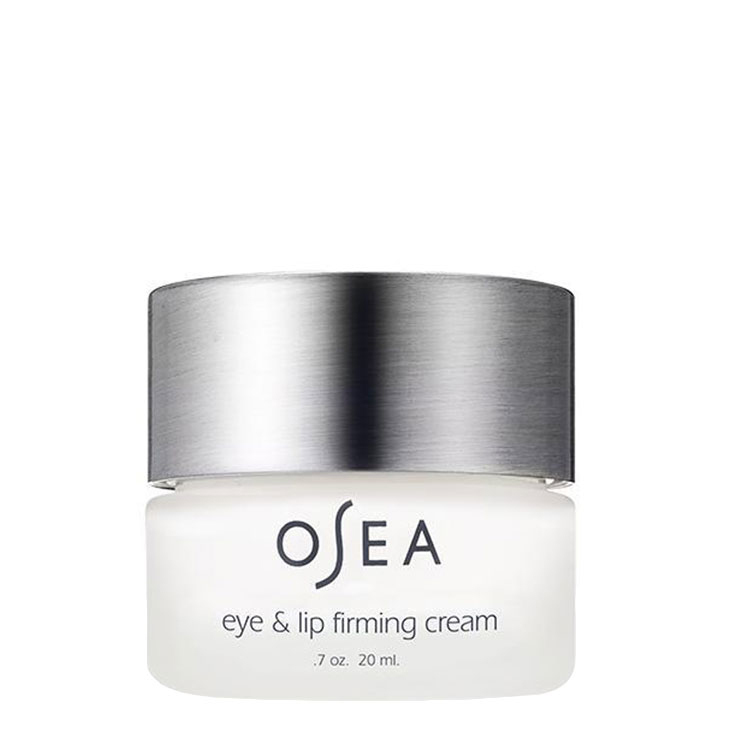 OSEA Eyes & Lips cream is designed specifically for those delicate areas of the face. A rich formula improves the look of bright, supple, youthful skin around eyes and lips, and smooths the appearance of fine lines and wrinkles. Algae extract makes skin feel ultra hydrated and healthy, while avocado lends a rich dose of vitamin E and makes the complexion look smooth and plump. DPHP, an amino acid, is used to visibly reduce signs of aging, like wrinkles, sagging, and lack luster skin tone. Macadamia seed oil provides an extra hit of fatty acids and antioxidants, perfect for those with dry, mature, or dull skin. Gently massage one pump of cream around eye and lip areas for a feel of hydration and to reduce the look of aging skin. May also be used as a facial moisturizer. Makes an ideal moisturizer for both day and night time. Aqua, Algae Extract*, Coco-Caprylate/Caprate, Squalane, Glycerin*, Sorbitan Olivate, Dipalmitoyl Hydroxyproline (Amino Acid Compound), Macadamia Ternifolia (Macadamia Nut) Oil*, Persea Gratissima (Avocado) Oil*, Algae Extract*, Saccharomyces/Copper Ferment, Saccharomyces/Manganese Ferment, Saccharomyces/Zinc Ferment, Calendula Officinalis Extract*, Cucumber (Cucumis Sativus) Extract, Capryloyl Glycine, Tocopherol, Citrus Grandis (Grapefruit) Extract*, Undecylenoyl Glycine, Hydroxyethylcellulose, Citric Acid, Potassium Sorbate, Glycine.